With the coming of autumn comes cooler temperatures and a reduced need for your HVAC system. We’ve probably got a few hot days left in the year, and winter nights mean increased heating needs, but for now, the transitional season and mild temperatures in Southern California mean that most of us can turn off our HVAC systems without any serious issues. 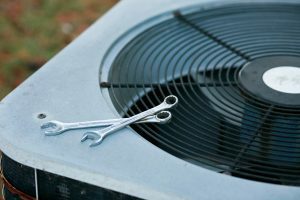 That makes this an excellent time to give your heating and air conditioning system a thorough going-over, and deciding whether or not to replace it. If it’s running fine, the answer is probably “no.” But if there’s a problem requiring repairs, you’ll need to make a hard choice: do you pay for the repair job or replace the system entirely? Only you can answer that question, since it depends on the specifics of your HVAC system. There are a few guidelines which you can follow to help make that decision. Every heater and air conditioner comes with a warranty, lasting a set number of years, which covers the cost of replacement for any of the original parts that come with the system. As long as the warranty is still in effect, any service call should likely involve repairs instead of replacement, since you’ll only have to pay the cost of labor and perhaps a few incidental components such as bolts or fittings. Even if the warranty has expired, repairs still might be preferable, especially if the repair is comparatively mild or the replacement part doesn’t cost very much. Only when the warranty has expired and the cost of the system is more than the system is worth should you consider replacing the system instead of repairing it. How Expensive Will the Repairs Be? When we talk about the cost of repairs, we’re usually referring to a single repair job. If it’s more expensive than you feel the HVAC system is worth, you might want to invest that money in a new system instead of putting it in an old one that may only last another year or two. But the same principle applies to smaller repairs that begin to add up. If you’ve scheduled more than two repairs in the last twelve months – and again, the warranty has expired – you may want to replace the system before you sink more money into it, even if the repair job at hand doesn’t cost a whole lot. Indeed, you might not even require repairs to decide that the system is costing too much to continue operating. As HVAC systems grow older, they lose efficiency, and while you can curtail that to a certain extent by scheduling regular maintenance, sooner or later age will take its toll. That means that monthly costs will creep up until your budget cries uncle. Replacing the system will cut down on those costs and give your wallet a break every month. For the best AC repair and replacement service in Long Beach, CA, call the pros at Greenleaf Heating & Cooling today!